Pembina Pipeline Corporationis pleased to announce a capital program of $1.6 billion and an Adjusted EBITDA guidance range of $2.8 to $3.0 billion for 2019. "We are pleased to announce our capital program for 2019 and look forward to another year of significant growth in our underlying business and further development of our value chain extension projects. Pembina's 2019 capital program will advance a significant portfolio of secured growth projects while executing the Company's strategy to secure global markets for Western Canadian produced hydrocarbons," said Mick Dilger, Pembina's President and Chief Executive Officer. "Throughout 2017 and 2018, a total of $5.5 billion of new projects will have been placed into service. For 2019, we are excited to continue building on the strong track record of growth that we have demonstrated in recent years," added Mr. Dilger. Pembina plans to invest $900 million, or 53 percent, of its 2019 capital budget in its Pipelines Division. The 2019 capital budget for the Pipelines Division includes spending associated with the Phase VI and Phase VII expansions of the Peace Pipeline System, both of which are currently underway and anticipated to be in-service in the second half of 2019 and the first half of 2021, respectively. The capital budget for the Pipelines Division also includes funds directed to completion of the NEBC Montney Infrastructure and the Wapiti Condensate Lateral both of which are expected to be in-service in the second half of 2019. Additional capital will be spent relating to previously known and anticipated final cleanup costs along the Peace Pipeline right-of-way, as well as communication and SCADA infrastructure upgrades. Pembina expects to invest $425 million, or 25 percent, of its 2019 capital budget in its Facilities Division. The Company plans to spend $210 million on the development of Duvernay II & III which includes gas processing, condensate stabilization and related infrastructure under the previously announced 20-year infrastructure development and service agreement with Chevron Canada Limited. Duvernay II & III are expected to be in-service in mid- to late 2019 and mid- to late 2020, respectively. Additional spending will be directed towards progressing the Prince Rupert LPG Export Terminal, the Empress Expansion and the recently announced Hythe Developments project. Pembina expects to invest $105 million, or 6 percent, of its 2019 capital budget within the Marketing & New Ventures Division. The Company plans to spend $100 million towards progressing its proposed Jordan Cove liquified natural gas ("LNG") project ("Jordan Cove"). This budget represents a prudent approach that allows Pembina to focus on several priority areas: securing binding agreements for the long-term sale of natural gas liquification capacity at the LNG terminal; advancing pipeline engineering; acquiring right-of-way; and obtaining the regulatory and environmental permits for both the terminal and the associated Pacific Connector Gas Pipeline. The Company has received a Notice of Schedule that indicates FERC will provide a decision no later than November 2019. Pembina continues to anticipate first gas in 2024, pending the receipt of the necessary regulatory approvals, a positive final investment decision and other requirements. Pembina also continues to work with various state and other agencies with an objective to progress the project on a similar time line. In addition, the Company has executed non-binding off-take agreements, which include the substantive commercial terms for a total of 11 million tonnes per annum ("Mtpa") which exceeds the planned design capacity of 7.5 Mtpa. These non-binding agreements include 20-year, 100 percent take-or-pay tolling commitments with investment grade counterparties. The Company is working diligently to conclude binding off-take agreements in the first quarter of 2019, including the nominated capacity of Rockies basin producers. Consistent with previous disclosures, and given the size of this project, the Company intends to seek partners for both the pipeline and liquification facility thereby reducing its 100 percent ownership interest to a net ownership interest of between 40 and 60 percent. This process to find partners is expected to commence upon securing binding off-take agreements, with a completion objective in the third quarter of 2019 and is intended to reduce the capital, operating, and other project risks. The 2019 capital budget for this division also includes additional spending to advance Pembina's remaining portfolio of unsecured development opportunities. Pembina expects to invest $50 million, or 3 percent, of its 2019 capital budget within its Corporate segment. This spending is primarily targeted at meeting the organizational needs of Pembina's ongoing growth including field and head office facilities, as well as improving information technology and security initiatives. Pembina's 2019 capital budget includes $205 million (net to Pembina), or 12 percent, to be invested in projects within the Company's joint venture partnerships including primarily Veresen Midstream Limited Partnership and Canada Kuwait Petrochemical Corporation. Of the $205 million of expected capital, Pembina plans to make equity contributions to the joint ventures and advances to related parties totaling $160 million, with the remaining capital to be funded within the joint venture entities. 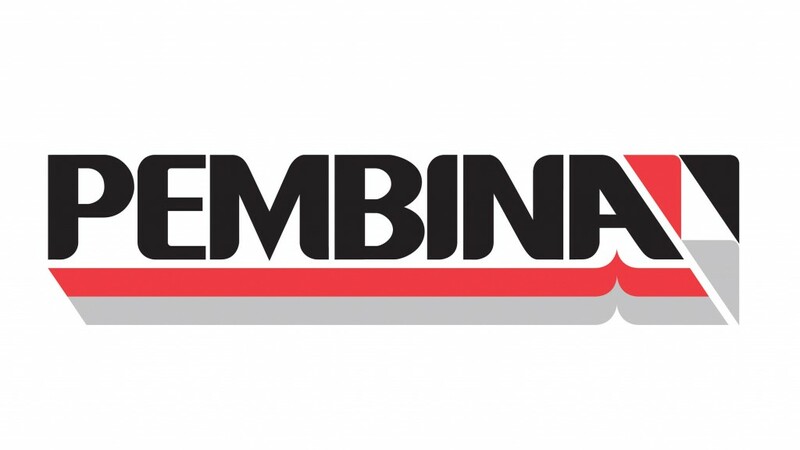 Pembina plans to spend $110 million in 2019 to further advance development of CKPC's integrated propane dehydrogenation plant and polypropylene upgrading facility, including progressing engineering to secure lump sum construction contracts on both the PDH and PP plants. Pembina is committed to developing this project within its financial guardrails and continues to engage in commercial discussions to secure approximately 50 percent of Pembina's expected cash flows from the PDH/PP Facility on a long-term, fixed-return basis. While progress has been made, Pembina has not yet reached the contractual threshold required to make a final investment decision. Pembina continues to work with an objective to achieve the required threshold to make a positive final investment decision by early 2019. Pembina is currently in the process of commissioning over $750 million of new projects, including the Phase IV and Phase V Peace Pipeline expansions, the Burstall Storage facility and the Redwater cogeneration facility, which will come into service in the next several weeks. Based on contributions from these projects and Pembina's expectations and outlook for 2019, the Company is anticipating annual Adjusted EBITDA of $2.8 to $3.0 billion. The Pipelines Division will benefit from increased revenue volumes across the Peace Pipeline system following the completion of the Phase IV and Phase V expansions. Additional contributions are expected from the Alberta Ethane Gathering System based on the re-contracting of approximately 95 percent of the existing capacity, effective January 1, 2019. The Facilities Division is expected to benefit from a full year of run-rate operations at Veresen Midstream's Dawson facilities as well as the Burstall Storage facility and the start-up of Duvernay II. The outlook for the Marketing & New Ventures Division is based on an expectation of narrower NGL frac spreads driven by lower NGL prices compared to 2018. Pembina has currently hedged approximately 10 percent of its 2019 frac spread exposure, excluding Aux Sable. In 2019, Pembina will continue to benefit from the availability of tax pools from assets recently placed into service. Current income tax expense in 2019 is anticipated to be $180 to $210 million, an increase over 2018 reflecting primarily higher earnings and the accelerated utilization in 2017 and 2018 of the tax pools obtained from the acquisition of Veresen Inc.